Lets Roll NY Sixth Session Announced! 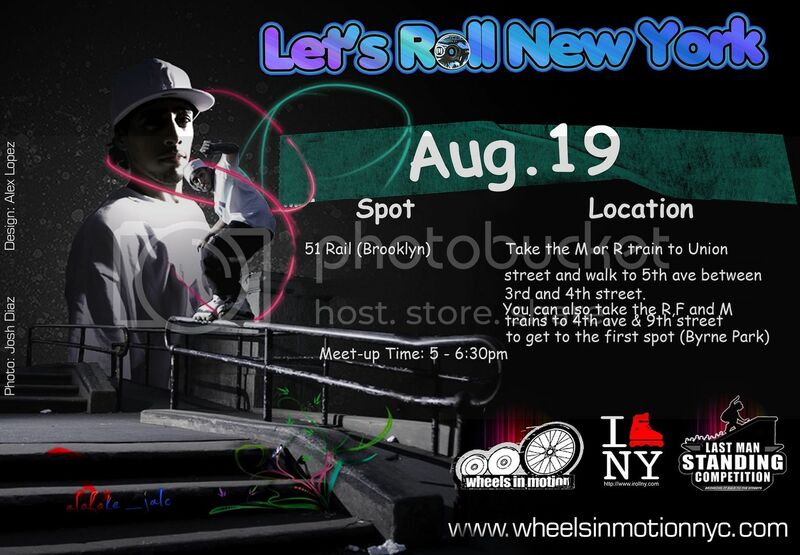 Just got the word from Victor that this week’s Lets Roll NY session will take place in Brooklyn, NY tomorrow. The meet up time will start at 5:00-6:30pm giving everyone enough time to make your way to BK. I want to see all you lazy Bronx kids in my neck of the woods cause you know us Brooklyn kids are always traveling to you. Take the M or R train (I suggest the R) to Union Street and walk to 5th avenue between 3rd and 4th street. You can also take the R, F, and M train to 4th avenue and 9th street to get to the first spot which is the 51 rail in Byrne Park. Make sure to come out and have some fresh wheels with you cause we’ll be doing some traveling.